This free handbook includes basic instructions on how to make basic herbal preparations at home. It covers making herbal teas, herb infused oils and balms, tinctures and more. Who this book is for: It is intended for those of you who have been intrigued enough by something you have read on our website, Anniesremedy.com to try your hand at making your own home remedy. This handbook does not give any expansive explanations on using herbs -actually it gives none at all.. These instructions are designed to be used when you have already figured out what to use and why, and are in fact on the way to your kitchen apothecary needing only a basic recipe, measurements, and paper to make notes. If you are looking for more information on herbs take a look at Kitchen Medicine, an E-book that profiles forty-four of the most popular and useful healing plants that will help set your feet on a learning path. How to Use this book: The pages can be read on the computer, but are designed to be printed out, all at once if you like or just as you need them. Before collecting this information in one place, I found myself printing out the same things over and over again, how to convert between cup and milliliters and ounces, the ratio of oil to wax in a salve, a good base for bath salts, etc. Plus, I always need scratch paper to take notes on how things went when trying new plants, herbs and recipes. These notes are many times consolidated and entered into the database that powers Anniesremedy.com You may wish to journal your results in your own collection, no matter how you keep it. May you find something along the path that brightens your day. Why the book is free: We hope you come back and visit with us often. The idea of pulling this project together came from comments from website visitors such as "So glad I found your website again, I had forgotten the address", and so forth. So I hope that providing some useful information with our URL plastered all over it will help you find your way back to our virtual doors again and again. Copyright: You have the right to save the PDF file to your computer and print out pages for your own personal use. You do not have the right to re-purpose or resell the writing or graphics. We promise to limit communication to your email address, and will not share it or sell it to any other companies. We will send you offers now and again. Always work with common sense and respect for the powder of herbs and of all green and growing things. 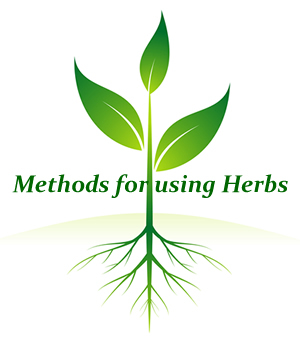 Join our mailing list and get a free copy of Herbal Methods : Methods of preparing Teas, Tinctures, Herbal Oils, and more at home.